One of the many services your local conservation districts offer is the use of a No-Till Drill. 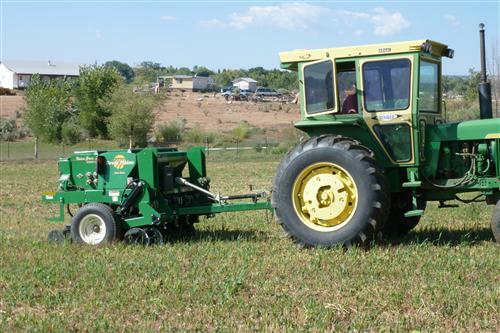 The districts purchased a drill to use to interseed hayland and pastureland. Over time a hayfield or pasture area can become a monoculture, stagnate and produce at minimal levels. Interseeding a legume or other grass species into a field helps to improve production and create a healthier stand of grass for hay or grazing. The drill is available through a day by day lease. Call the district office at 404-3447 and Dennis Davidson can assist you in a seeding recommendation and drill rental.